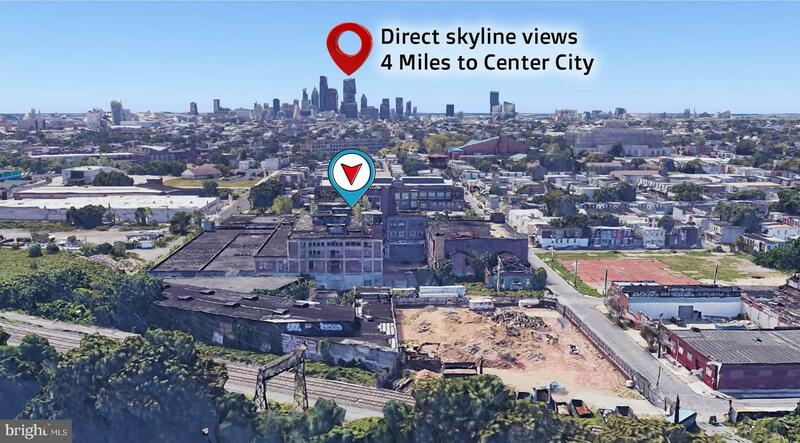 4.3 acres of entire city block perfectly aligned with direct Center City skyline views. 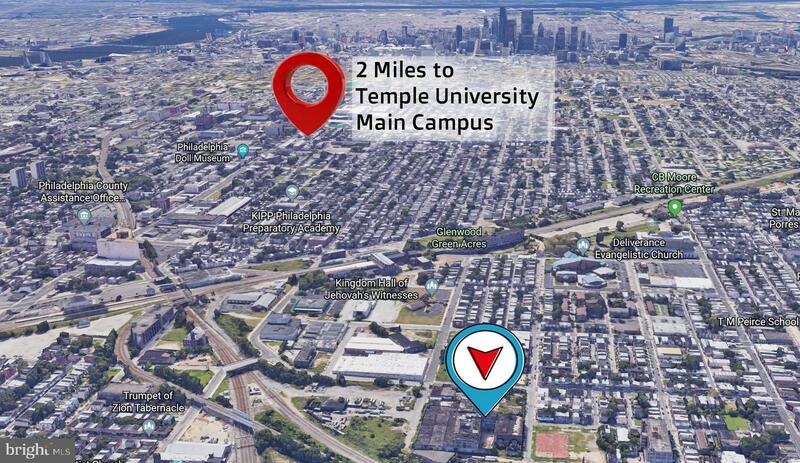 Nestled in quiet area between Temple Medical Campus and Temple University, just few blocks from Broad Street. 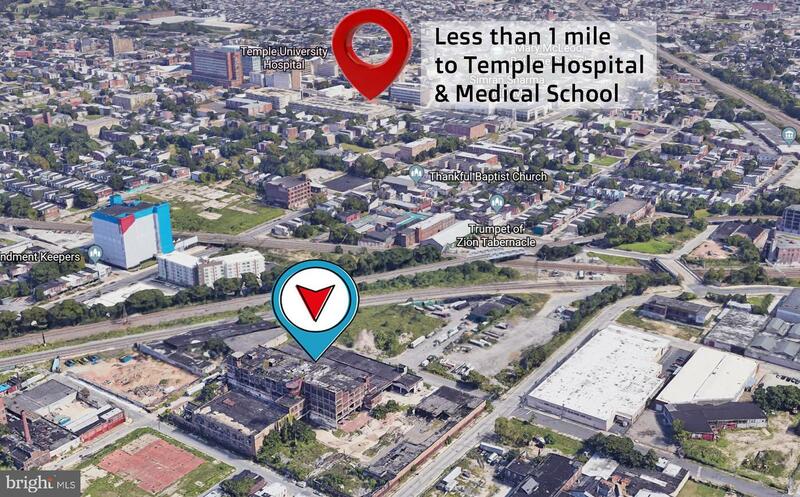 Approximately 300,000 square feet of solid former bakery and warehouse space. Former home of famous Freihofer Baking Company.New owner can repurpose existing structures or demolish and build ground-up. 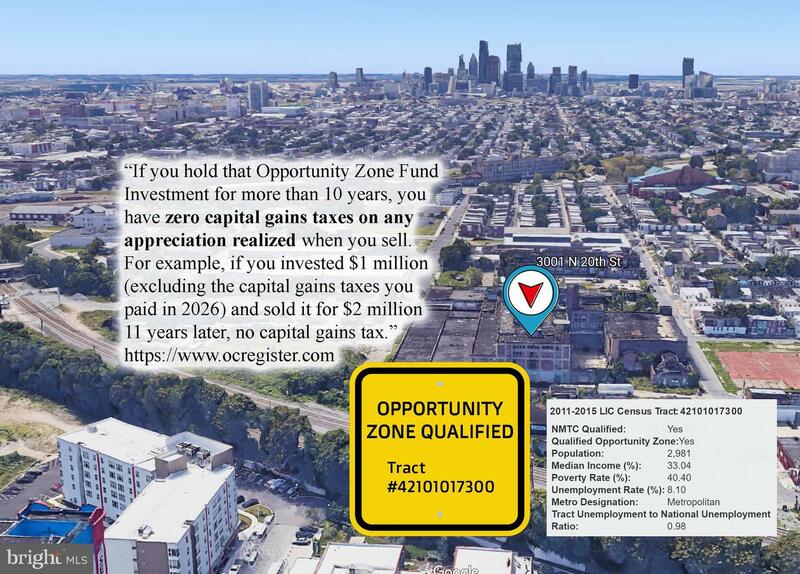 Qualified ~opportunity zone~ investment (significantly reduced capital gains taxes or zero gains taxes if you hold for 10 years). 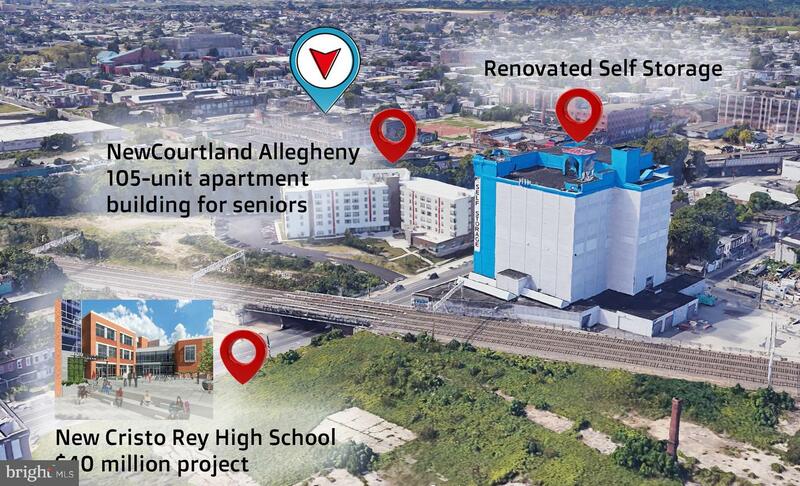 Steps from the newly approved North Station District $162M development at Broad and Indiana. Ideal for senior housing, apartments, storage, warehouse, distribution center, etc. 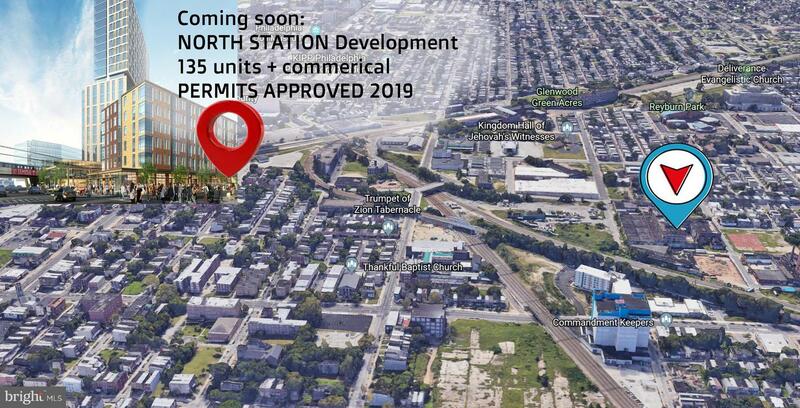 Truly a rare opportunity for larger scale development, or owner/operator who needs land and warehouse space.